You can depend on getting a fabulous meal at both of them. 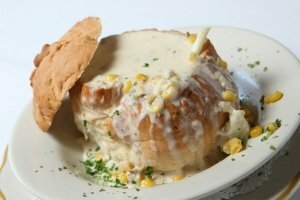 Try our famous Corn & Crab Bisque served in a toasted bread bowl, Veal & Spinach stuffed Canneloni (the House Specialty), gigantic Seafood Stuffed Pork Chop, or any of the delicious daily specials. 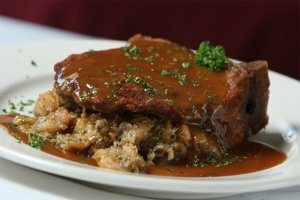 Vincent’s Italian Cuisine was founded in 1989 by native New Orleanian Vincent Catalanotto. From a large, close Sicilian family, Vincent grew up eating wonderful food prepared by his parents who were both great cooks. Vincent learned to love and appreciate food at an early age, and then spent most of his life working in the service industry, fueling his passion for the restaurant business while allowing him to hone his innate ability to create fabulous meals and to make people happy. This is neighborhood restaurant that many people come to in order to eat great Italian food. Atmosphere is very casual and the wait staff is excellent. eating at Vincent’s is like dining with family. Once you’ve eaten at Vincent’s you’ll want to come back again and again. Contact us today for a reservation; we look forward to seeing you.